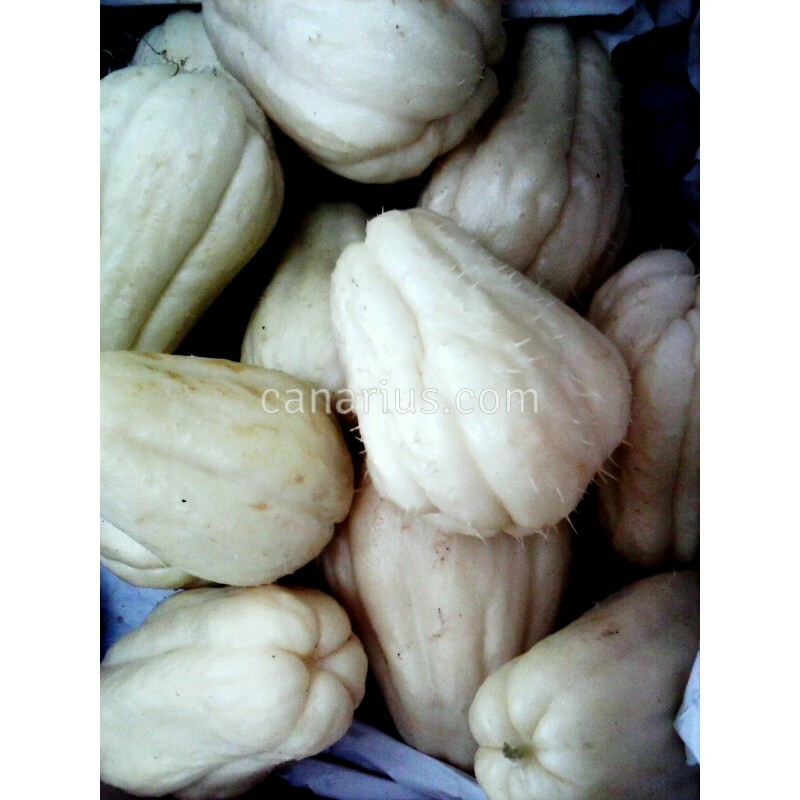 This is the WHITE form of Chayote, an edible fruit belonging to the gourd family, native to Mexico. 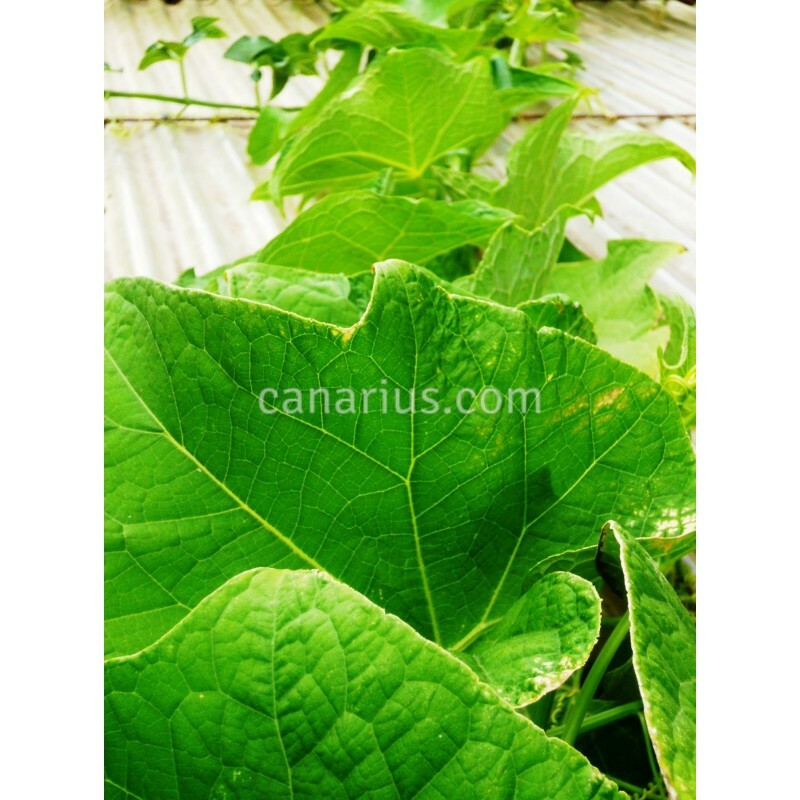 It is a fast-growing sprawling vine that will bear lots of fruits in less than one year.We offer a pack of two large sprouting fruits. These fruits-seeds sprout like coconuts, half-buried. This is the white form. 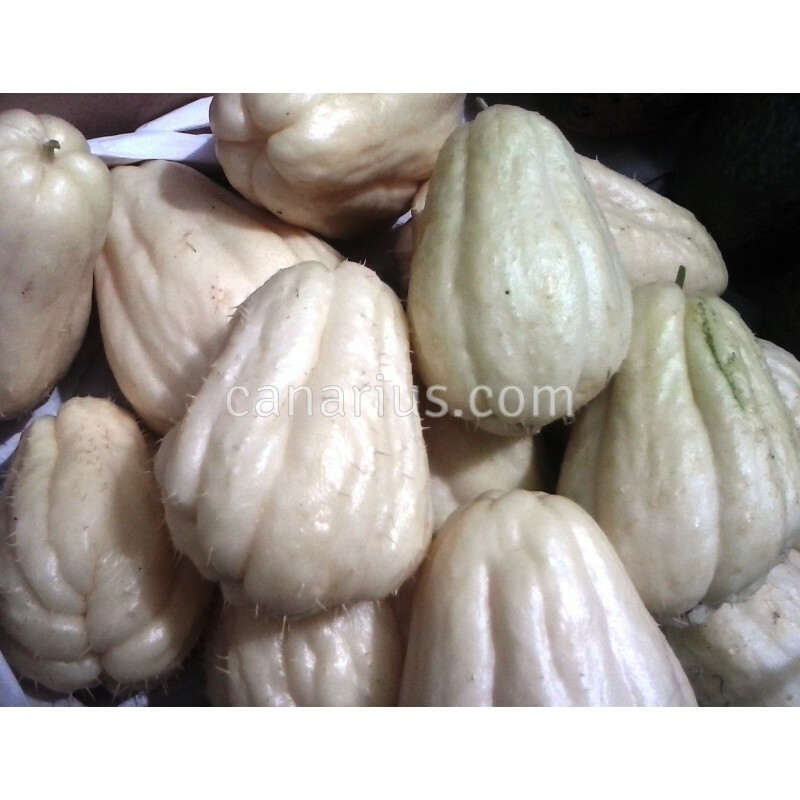 This is the WHITE form of Chayote, an edible fruit belonging to the gourd family Cucurbitaceae, along with melons, cucumbers and squash, native to Mexico. It is a fast-growing sprawling vine that will bear lots of fruits in less than one year. 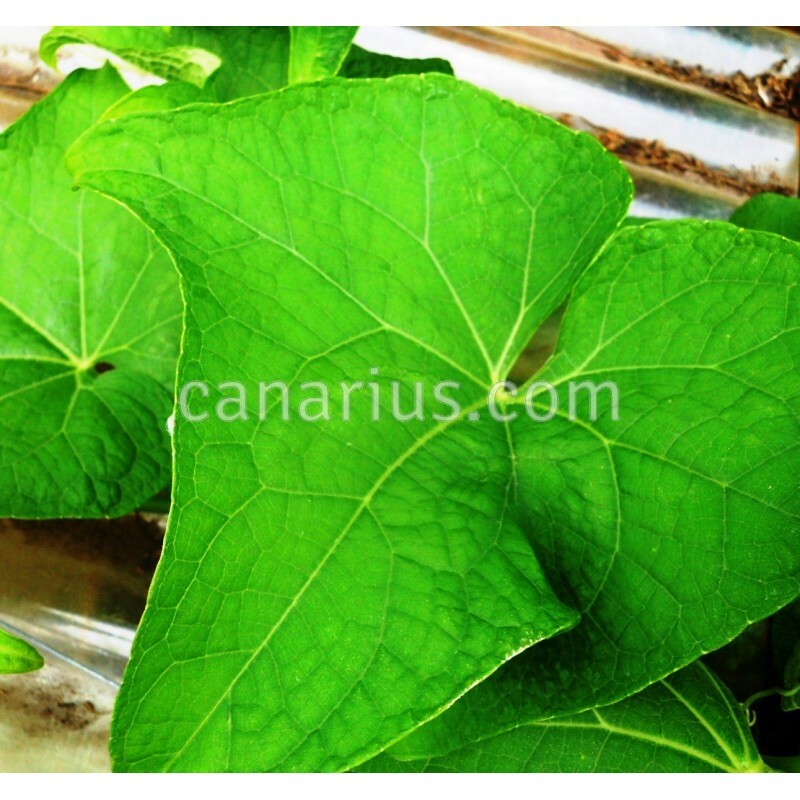 It grows very well outdoors on a fence or pergola in Tropical, Subtropical and Mediterranean conditions. It is finicky to grow in pots unless it is planted in large containers. When cooked, chayote is usually handled like summer squash, it is generally lightly cooked to retain the crisp flavor. 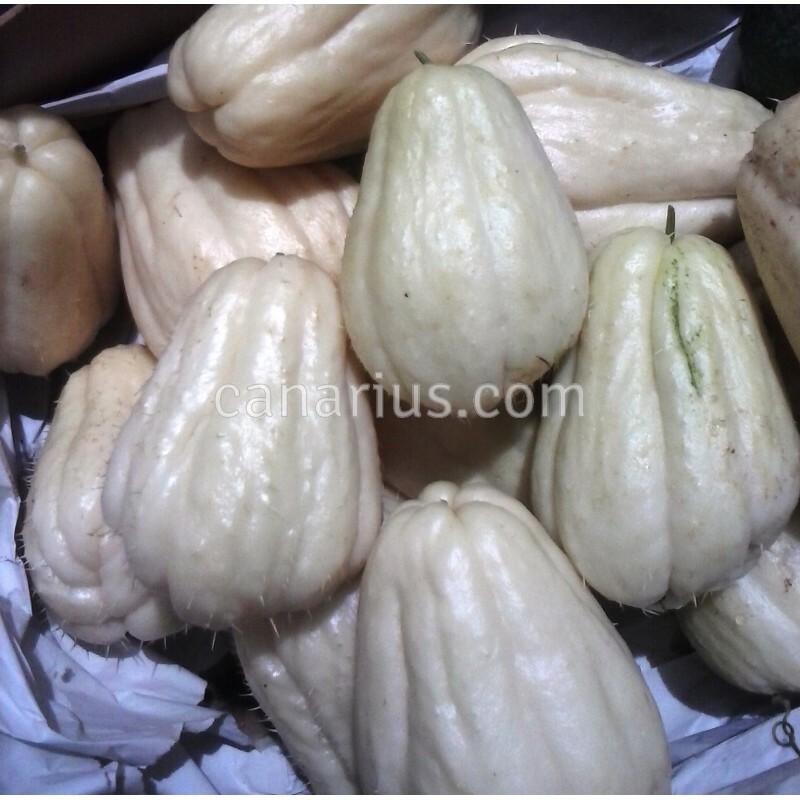 Raw chayote may be added to salads or salsas, most often marinated with lemon or lime juice. 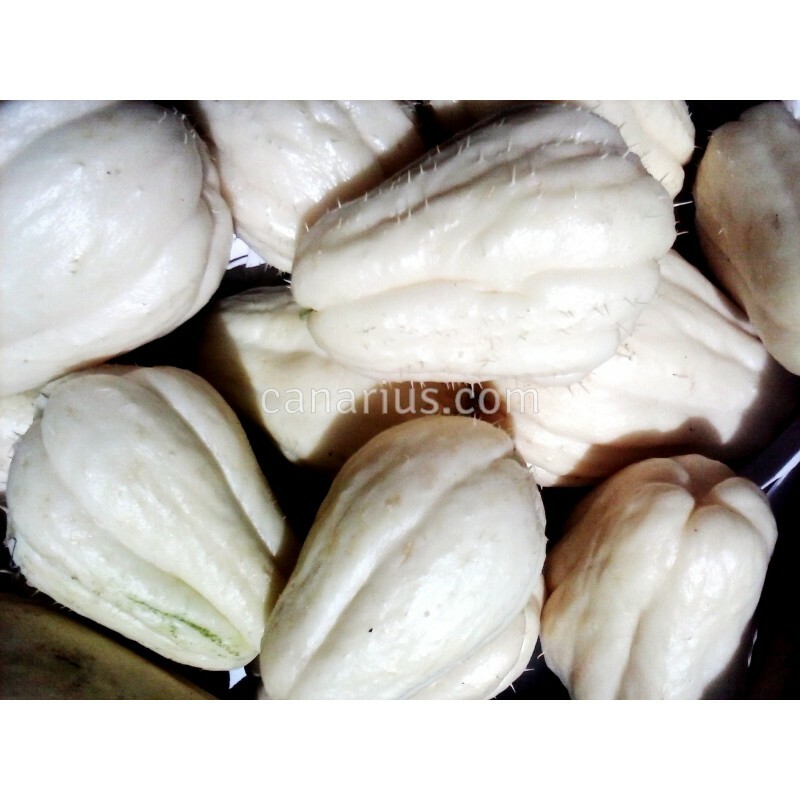 Whether raw or cooked, chayote is a good source of amino acids and vitamin C.
We offer a pack of two large sprouting fruits. These fruits-seeds do sprout like coconuts, half-buried, at temperatures betweeen 15 and 25 C.